It would be fair to say that Lenovo was a pioneer in the convertible Ultrabook lineup with the original Yoga. 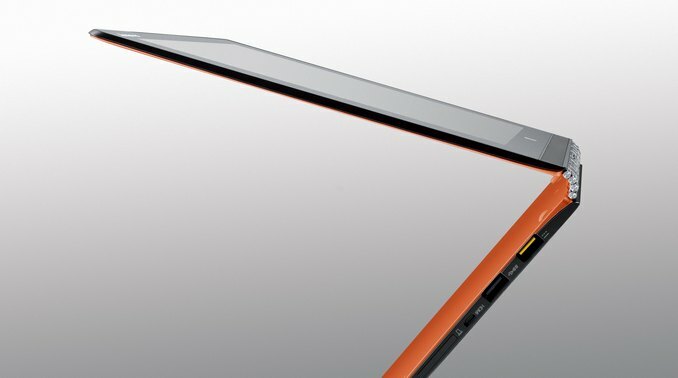 Last year, they updated the Yoga lineup with the introduction of the Yoga 2 Pro. This new model came with a Haswell-U series CPU, along with a 3200x1800 resolution display, all in the Yoga form factor with a 360° hinge. The display was a highlight for the model year, with the Yoga 2 Pro having one of the highest pixels per inch of any laptop available last year. In October 2014, Lenovo took the wraps off of their latest incarnation of the flagship convertible Ultrabook with the launch of the Yoga 3 Pro. The Yoga 3 Pro was not just a refresh of the internals of the Yoga 2 Pro, but an altogether new creation. The new model is 17% thinner than the outgoing model, and 15% lighter. Rather than power the Yoga 3 Pro with the traditional Ultrabook Intel Core U series processor, Lenovo decided to go for the Broadwell-Y based Core M processor for the Yoga 3 Pro. This has its pros and cons, as we will get to later in the review, but the Broadwell-Y processor has a couple of changes over the Broadwell-U which was launched later. The Thermal Design Power (TDP) of Core M is a mere 4.5 watts, down from the 15 watt TDP of the U series processors which powered last year’s Yoga 2 Pro, and perhaps more importantly, the physical size of the chip, and the Z-height, are both smaller, enabling thinner and lighter devices. When Lenovo first launched the Yoga 3 Pro, it was offered with the Core M-5Y70 processor. Lenovo has provided us with their refreshed model, which dumps the original Core M for the Core M-5Y71 which was recently released by Intel. This new processor bumps up the performance, and gains an additional 100 MHz base clock, and 300 MHz boost, with the 5Y71 now boosting to 2.9 GHz. It is a decent increase, and it is done in the same 4.5 watt window. So Lenovo has taken a bit of a departure here with the Yoga 3 Pro. The rest of the Yoga lineup consists of Broadwell-U processors, and will therefore be more powerful. But not everyone needs or uses all of the power that they have, so in the quest to design a thinner and lighter device which is going to be more portable, the Core M is really the only solution for today’s computing landscape. What we need to know is what kind of performance you can expect in a premium Ultrabook such as this. Below is a table of the specifications of the Yoga 3 Pro to summarize all of the components and compare it to last year's Yoga 2 Pro. There are a couple of things worth mentioning from the specifications. Whereas last year’s model had several SKUs with different processor, memory, and SSD options, the Yoga 3 Pro has simplified the lineup, and provided likely the best combination for price and performance. The Yoga 3 Pro now comes with 8GB of DDR3 standard, and a 256GB SSD or 512GB SSD. The only other difference in the models now is the color, with Lenovo offering Light Silver, Clementine Orange, and Golden as the options. For those looking for a convertible laptop, there are basically two camps. Devices which have the internals in the keyboard like a traditional laptop will be better balanced when using it as a laptop. The other device is a tablet with an attachable keyboard, such as the Surface 3 Pro. There are pros and cons to each approach, and each device can be better at one scenario than another. If you are after a device which can be used as a laptop more than a tablet, then Lenovo’s Yoga range certainly has a lot of appeal. It keeps the traditional form factor of a laptop, and through a well-designed hinge allows for a lot more versatility than a traditional clamshell notebook computer. It all starts with design. the yoga line is nice and the yoga 3 pro could be one killer machine, but when i have to press key combos for simple things as adjusting brightness, or to skip a track this would be just a big step back in usability for me. like the author, i'm also not a fan of the rgbw-display, especially when sharp makes a display of the same resolution which is just so much nicer. and the third point would be the middling battery life. i would give up the 1800p screen in a heartbeat if it meant i could get the same battery life as the 1080p xps 13.
i'm still not the biggest fan of core m, even with a little fan helping out. i guess for me that means the time isn't quite here yet for the super-slim 12mm for factor and in this generation and probably the next i'd still be more inclined to go with a 15-17mm thick device, simply to have something a bit more future proof in the cpu and especially gpu department. It seems the new paradigm to remove stuff and reduce user convenience, samsung did it with their new phones, apple did it with their new single-port laptop, and you see more and more devices being released with pointlessly reduced functionality. But as for 'pro', I'm not sure any 'pro' would get lenovo after the spy-ware fiasco. Fair point, but seeing we hear more and more about things embedded in firmware and BIOS I'm not sure I'd trust it either way. Especially the BIOS would only require a cooperation of lenovo to 'enhance' their system. Odd view, the shift key isn't too bad if you type with ten fingers since it is where it suppose to be except the right part missing, and people can probably adapt to that.